Amy submitted this fun card to our Color Challenge 57. So fun! She used stamps from the Beast Friends and Cool Day stamp sets for this delightful design. 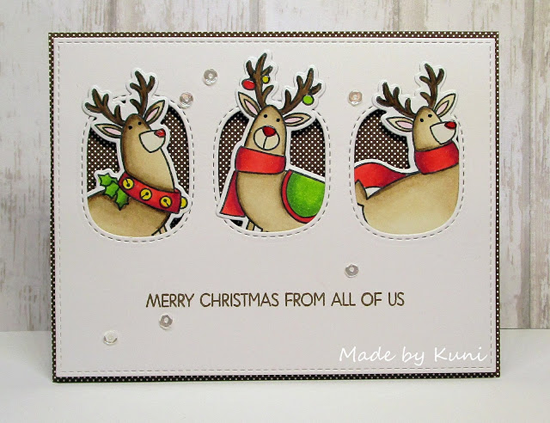 Three festive deer from the Merry Everything stamp set are peaking out of the Stitched Triple Peek-a-Boo Windows on Annett's whimsical and adorable card. What a fun holiday design! 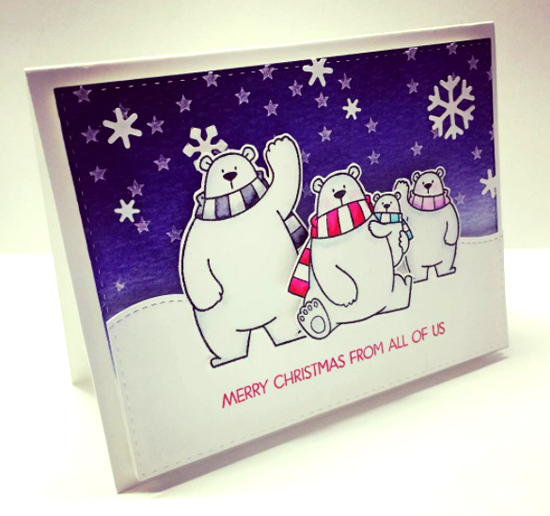 The sentiment that Annie used from the Merry Everything stamp set fits seamlessly with the cute family scene she created with the Polar Bear Pals stamp set. And that purpley-blue sky is simply scrumptious! Oksana's pastel take on Christmas definitely caught my eye! 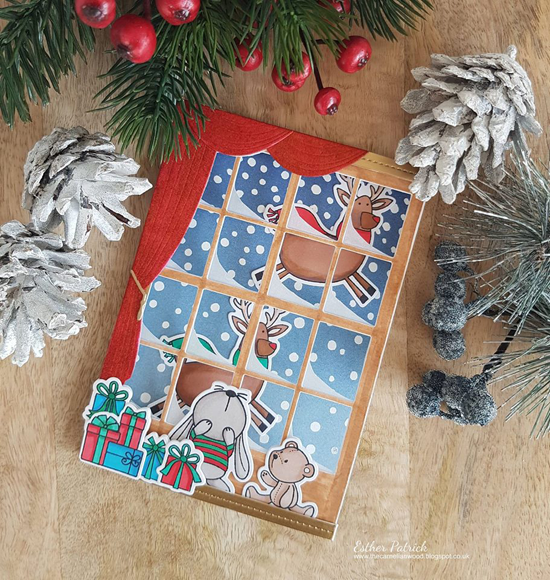 She created a simply adorable scene with our Merry Christmoose stamp set. So sweet! What a labor of love this design from Esther is! 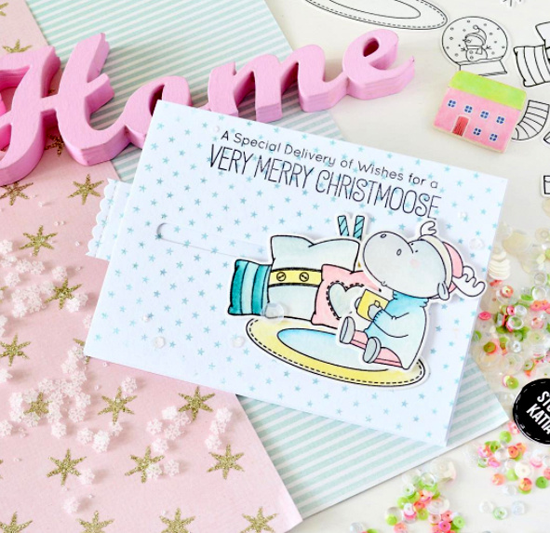 She created this delightful tri-fold card using the Merry Everything and Snuggle Bunnies stamp sets and Die-namics. Just look at the JOY on little bunny's face! Thanks for using MFT, ladies! You've left us inspired, and that's what it's all about! See you tomorrow for another great Sketch Challenge, and look for the next MFT Color Challenge on Thursday, December 22nd. Thank you for featuring my card, MFT! I love the other cards - they're absolutely beautiful!